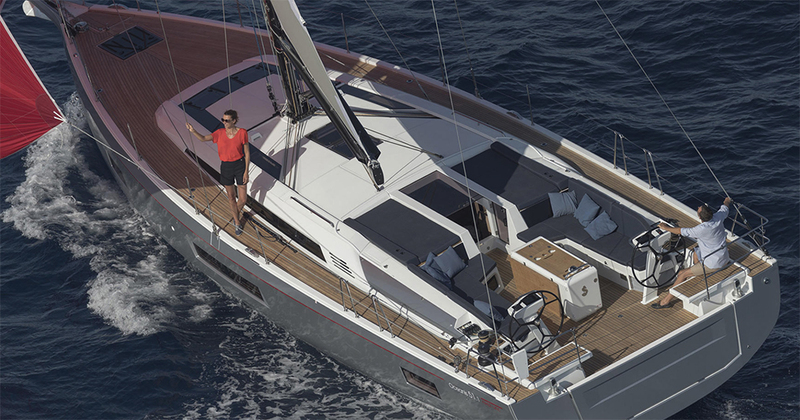 A brand-new hull design with lots of extra space without compromising on sailing performance. 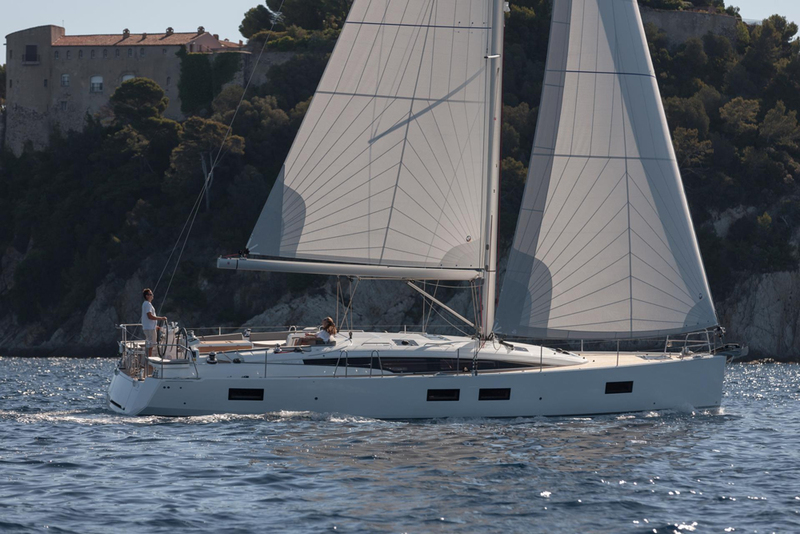 The Beneteau Oceanis 51.1 has an all-new hull design with distinctive chine that runs all the way forward. One of the benefits of that is that it gives a lot more space in the forward part of the boat, it gives an extra 40cm width in the main forward cabin, but it doesn't compromise sailing performance. Today's broad stern designs also give more space in the aft cabins and on this boat they are configured so you can get in and out of the berths without having to climb. 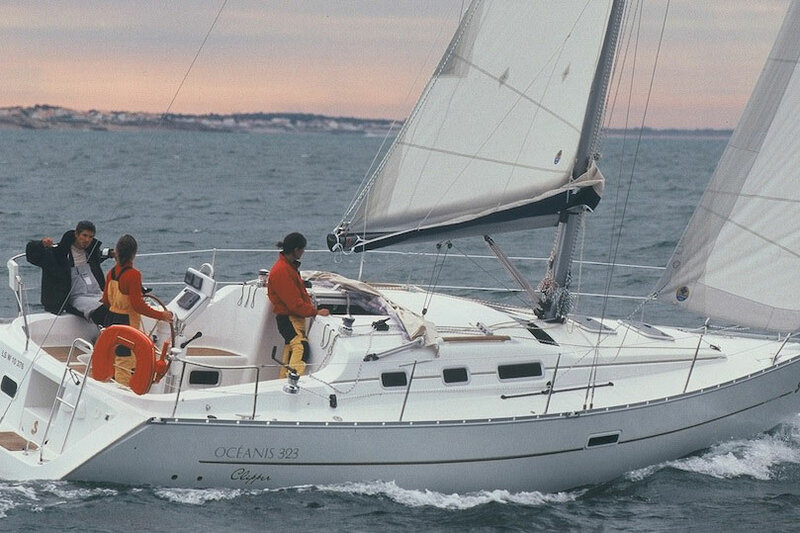 The Oceanis 51.1 offers three basic versions: the racer called “First”, the cruiser named “Comfort” and the simple daysailer known as “Easy”. 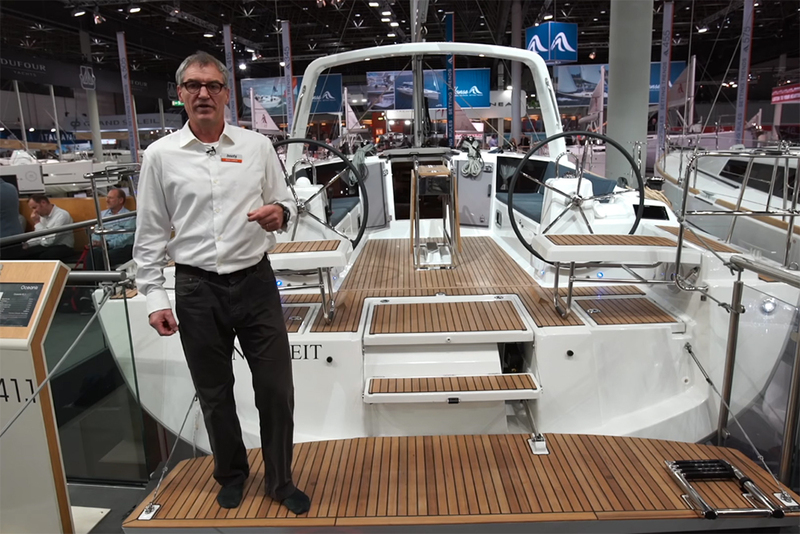 These target three different market segments with one hull design and the concept adds flexibility with additional options so you can truly make the boat your own. See the First Look Video with Rupert Holmes below. Three iterations mean you can quickly determine which flavour you need based on your sailing style. The differences are primarily in the interior and the rigging. Although all three share a Z Spar triple-spreader, deck-stepped rig and a new hull that is chined over one third of its length, there are mast and draft variations. 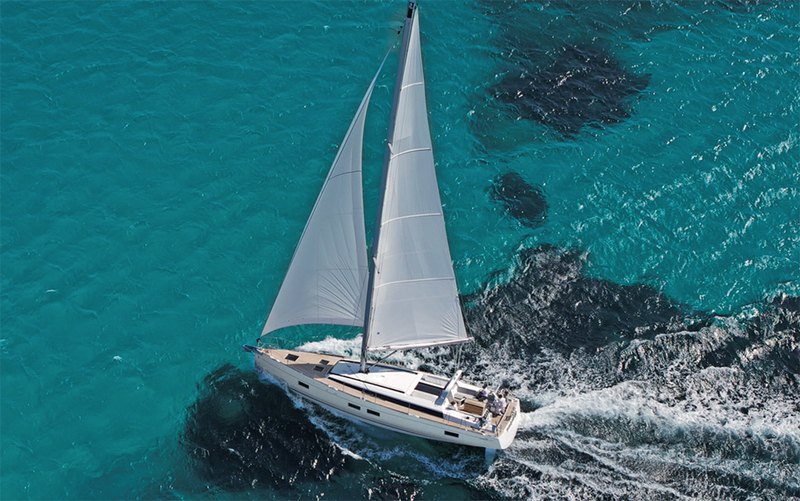 The standard clearance is 70ft 1in but the performance package adds five feet to the mast and an additional 35 per cent sail area. Also, standard draft is 7ft 7is with a shoal version at 6ft 1in or performance at 9ft 2ins. The Easy daysailer comes with a self-tacking jib and in-mast furling for the mainsail for truly easy sail handling or single-handing. 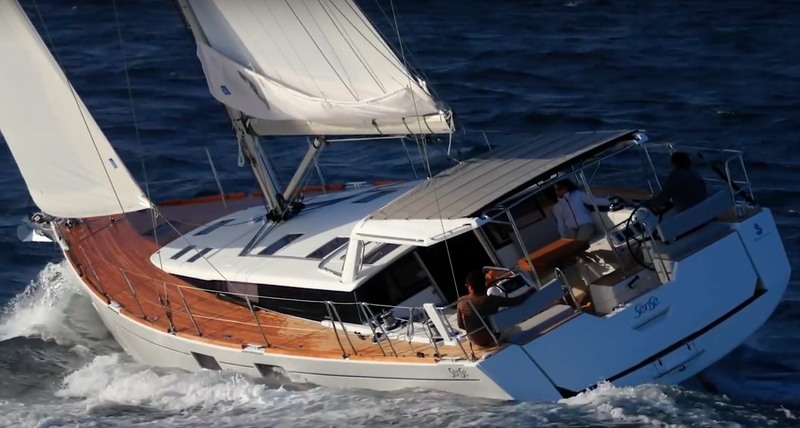 The Comfort cruiser adds an internal D1 lower shroud, two more winches, an arch for the mainsheet attachment point, sunbeds on either side of the companionway, and an outdoor grill. 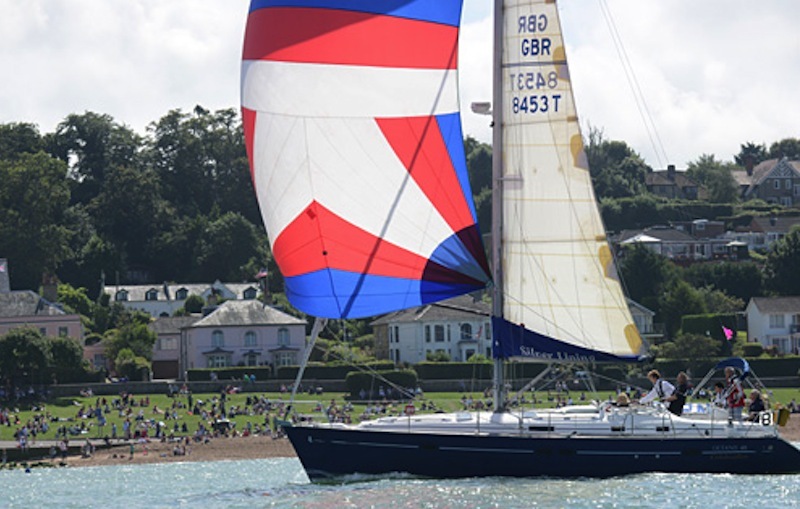 The First racing version offers a carbon fibre or aluminium spar and upgraded winches, tough deck hardware, a hydraulic backstay and composite wheels. Spinlock x75 sheet stoppers manage the lines on either side of the cockpit and the winches are now positioned so that anyone who’s grinding faces forward and can see the headsail. That’s an improvement over many of Beneteau’s previous models where you faced aft and had no idea what the sail was doing. The composite sprit on the bow elongates the hull and takes the anchor well away to minimise the chance of hull dings when anchoring. There’s no shortage of sundecks aboard with twin lounges at the companionway, and a large deck on the bow. The clever optional grill swings out from the aft bench so the chef stands on the electric swim platform to cook and the optional hideaway dinghy davits retract when not in use. Thoughtful details include hinge-up foot braces at the helms, taller lifelines as befits an offshore cruiser, and an enormous lazarette that stores a Fischer Panda genset. For all but the racing crew, the cockpit table will be a blessing. Not only does it provide great handholds when moving about and foot bracing when heeling, it also has stowage for the life raft and a refrigerator. There are a couple of head-scratchers on this model. In contrast with the hefty cockpit table, the small helm consoles seem completely out of proportion with the boat as a whole. They accommodate a 9-inch B&G MFD on each, and little else. The owner of a boat like this will likely seek a “glass helm” effect and nine-inch screens just won’t cut it. Everything else is down by your ankles including the engine throttle, wind instrument repeater, windlass remote panel, and bow thruster control. You need to bend down to operate the thruster and engine, taking your eyes of the bow just as you’re docking. Also, there’s not enough separation between deck fills. On the port side, the water and waste fills are only four inches apart. The possibility of contamination of the water tanks is high. All of the above issues are easily solvable. Larger helm consoles and some rewiring would create room for all controls at hip level and some plumbing changes and a new hole cut in the deck would add separation to the deck fills. Below decks on the 51.1. Long term cruising aboard the 51.1 won’t be at all like camping. These boats are better appointed than most apartments. Layout options include up to five cabins and four heads if you count the crew quarters in the forepeak. Our test boat had three cabins and two heads with the master stateroom and its split shower/head compartments forward. Twin cabins were aft and they’d each benefit from better ventilation. A C-shaped galley is to port with a two-burner stove, refrigeration drawers and plenty of stowage space for stores and tools of the trade. Due to its shape, the galley provides good bracing points so cooking and washing dishes under way shouldn’t be an acrobatic exercise. The nav station is large and up against the forward saloon bulkhead. Its seat makes a sideways lounge with a pop-up feature in the middle to support your legs for when the navigating is done and the entertaining begins. 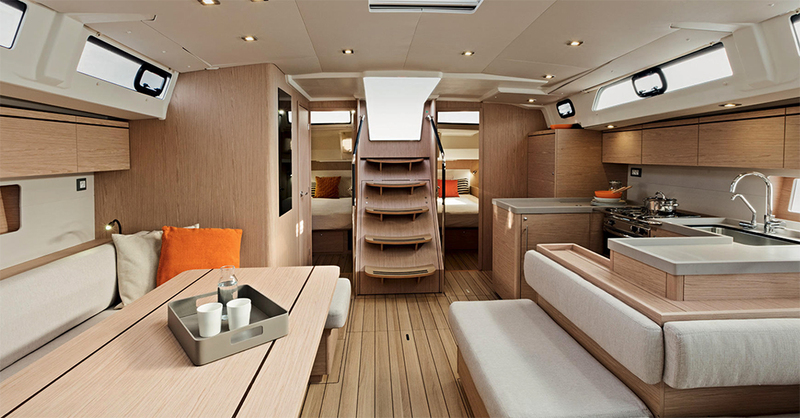 An array of overhead hatches in the saloon and master cabin together with the hull ports throughout the length of the boat make everything light and bright below. This is helped by a new finish called “brushed oak” that adds texture for the appearance of real wood. Mahogany is the other option for those who like a darker, more traditional aesthetic. A Beneteau trademark seems to be few handholds below. It’s a clean look but not very practical. There’s a long traverse from the companionway to the master in the bow. That’s great at a boat show but isn’t much fun when it’s blowing 30 outside. On the other hand, the companionway is award-worthy all on its own. Large, well-angled steps are flanked by sturdy railings so coming on deck or ducking below will be easy for older folks, kids and even pets. There is plenty of clean space on deck. Having had a delightful previous sea trial on the 41.1, I was looking forward to hoisting sail on this newest model. Alas, the wind gods weren’t with us. The Chesapeake cooked up just a light breeze that briefly gusted to six knots. But because Beneteau uses lightweight cored, infused construction in their hulls, it doesn’t take much to move these hulls so even with just a bit of breeze, we did manage to sail briefly at about five knots in 6.5 knots of apparent wind on a beam reach. At just about 31,000 pounds of displacement, the 51.1 was ready to move even in a sneeze of breeze. The upgraded Elvstrom laminate sails sheeted in tight and we looked good even if we weren’t really going anywhere. In a blow, I expect this boat to make tracks. Unless you aspire to dominate the yacht club, the self-tacking jib and Code 0 combination would be my choice of sail plan. For racers, there are lots of ways to dial in this model in to eke out that last half knot of boat speed. An 80 hp Yanmar with Saildrive is standard but our test boat had the upgraded 100 hp diesel and on flat water, we maxed out at 3400 rpm and 10.1 knots. A fast cruise was 9.7 knots at 2500 rpm and even at 1000 rpm we motored at 6.1 knots. With this much power, you’ll need to watch the “no wake” zones. Joystick drive, called Dock & Go, is available and ties together the engine, thruster and autopilot. Docking in a cross breeze is a snap. Standard fuel capacity is just 53 gallons, which is great for racing but not ideal for a distance cruiser. That’s why there’s an option to double that amount with an additional tank. Standard fresh water tankage is 116 gallons but another 87 may be added for a total of 203 gallons, which will provide lots of showering opportunities. Rumor has it that the .1 line name originated on a bar napkin when perhaps creativity wasn’t at its peak. No matter, this new line really does introduce some worthy innovations and improvements, so what’s in a name? 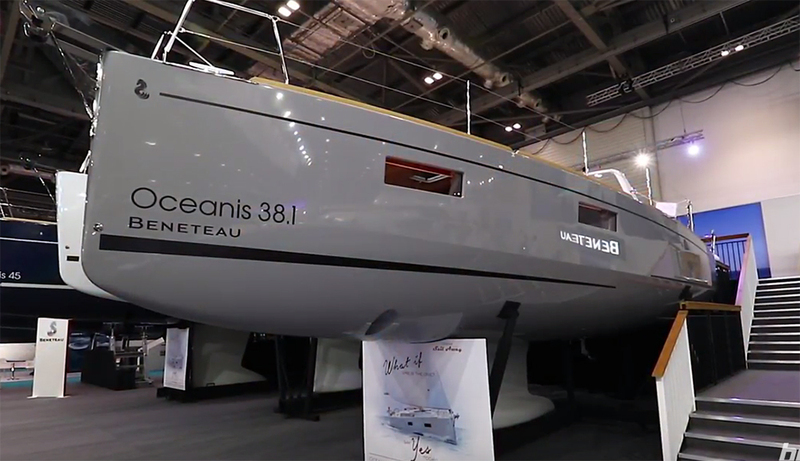 The first design to be launched under Beneteau’s new marketing director, Gianguido Girotti, the Oceanis 51.1 is all about options. Four interior layouts, five rigging plans, three keel types, and a choice of 150 individual options create 700 possible combinations. I suggest you start with one of the three basic flavours and everything will fall into place from there – no head spinning necessary. Interested in the brand? 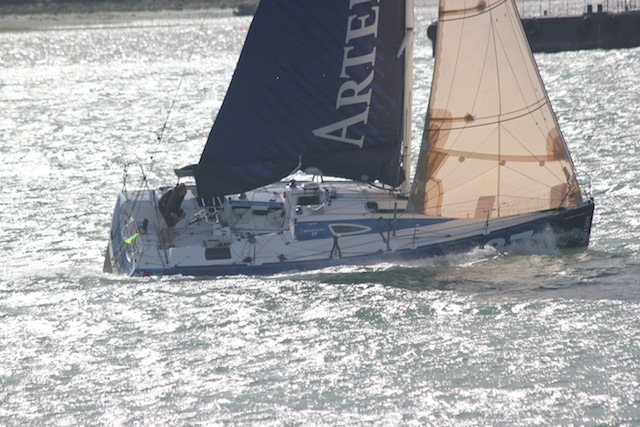 See 10 top Beneteau yachts: Figaro, First, Oceanis and Sense, or search all Beneteau sailing yachts for sale on boats.com.